We did Vietnam in 9 days. 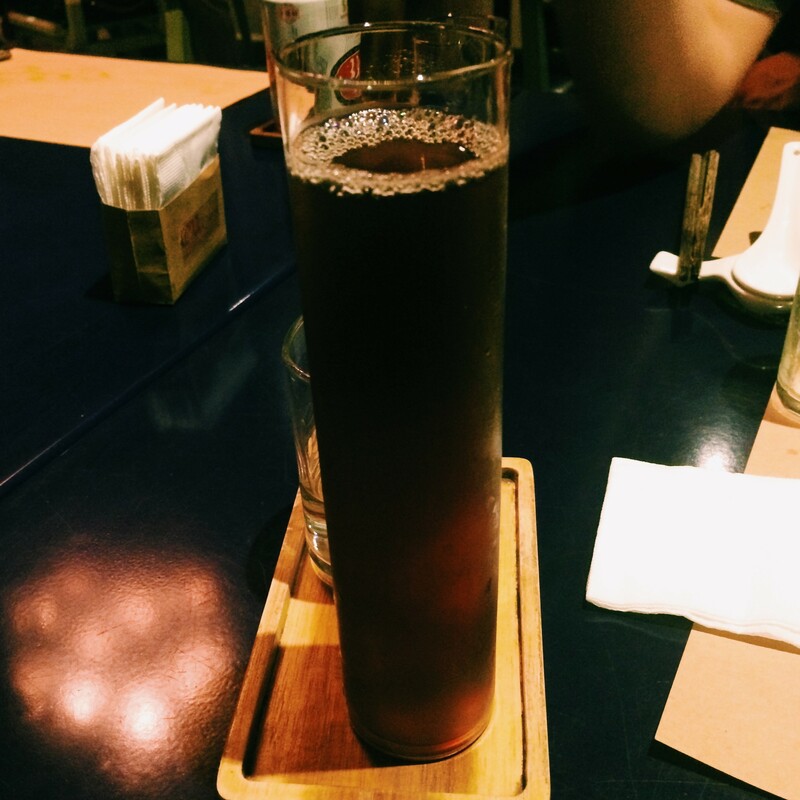 It gave us enough time to get to the places that we were interested in but it didn’t exactly feel like a relaxing holiday. If you want to do all the interesting historical and cultural things, as well as the laidback holiday type things I would recommend adding a few more days on. Fifteen full days would be a decent amount of time. 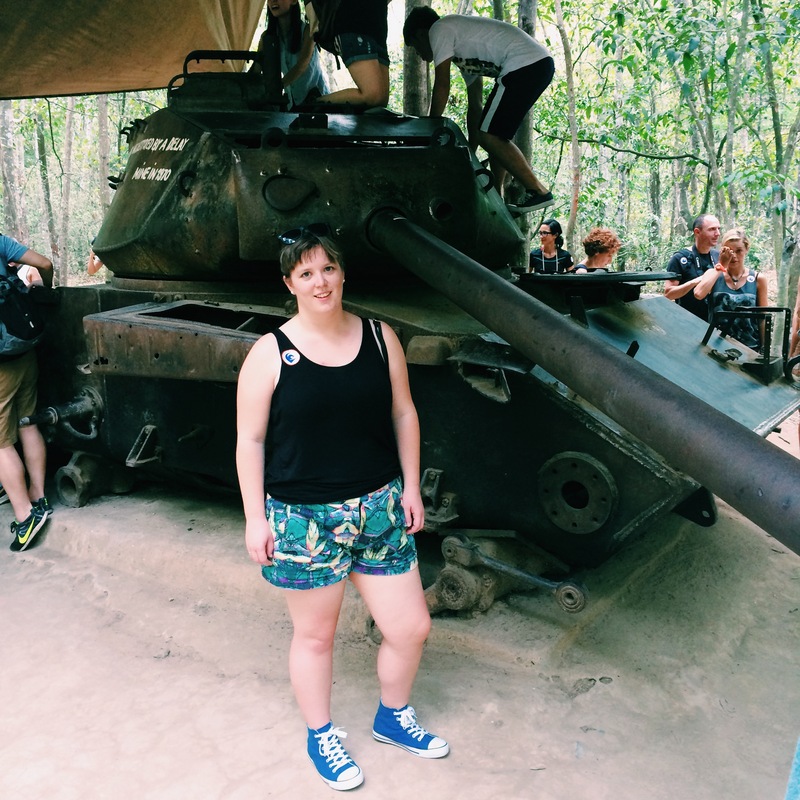 We travelled to four main places – Ho Chi Minh City (Saigon), Hue, Hoi An and Hanoi. 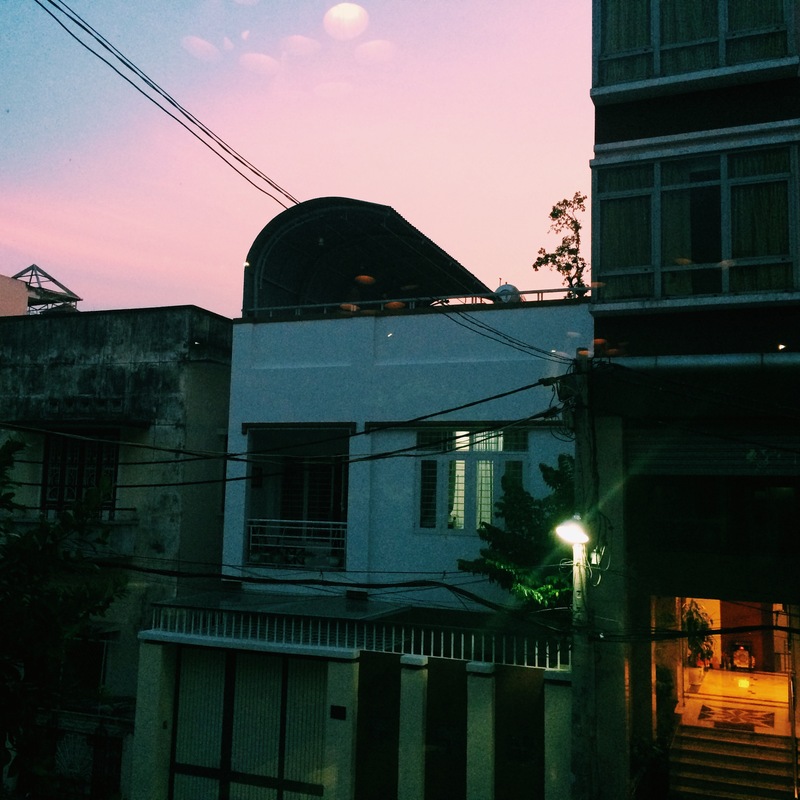 We were briefly in Da Nang but only for that evening. 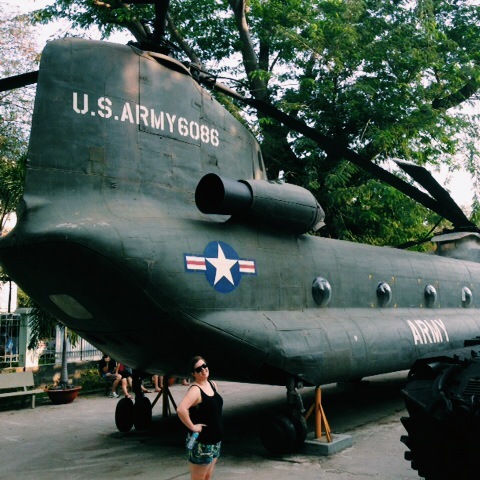 This is a rundown of what we got up to in Ho Chi Minh City (Saigon). 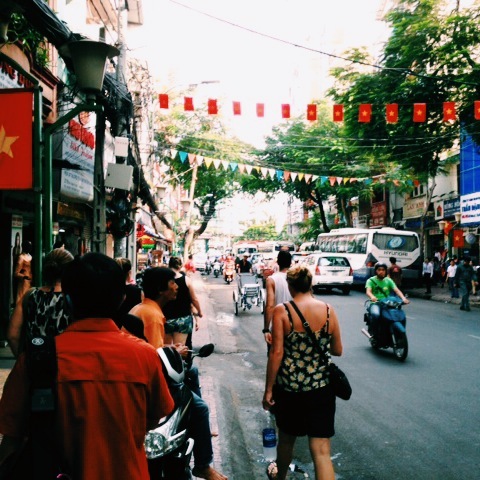 Saigon was the capital of South Vietnam up until the end of the Vietnam War. It’s bustling, sprawling and a bit smoggy. When we first arrived, we were struck by the fierce humidity – it was like walking into a bag of popcorn that was fresh out of the microwave. We stayed in the backpacker’s district in a reasonably nice hotel called Seventy Hotel. The staff were helpful and friendly and the room itself was clean and well kept. Unfortunately, on our second day there the air conditioning was turned off by some construction work happening in building next door. It was a particularly painful experience, especially as we had to lug our fat suitcases down four flights of narrow stairs. This was one of the first tourist things we did when we first arrived in Saigon and easy enough to do when you’re slightly jet lagged. We went up in the afternoon and enjoyed several cocktails in tower’s two bars. One thing I really liked about going here first was that it gave you a really useful perspective of how large and sprawling Saigon is as a city. The city never seemed to end and merely faded away over the horizon into smog and humidity. The drinks we had here were probably the most expensive we had in our time in Vietnam, but it was nice to have a relaxing drink overlooking the city lights. As the sun set, surrounding towers lit up with a multitude of colourful lights and projections. We popped in here on our first day and were quite overwhelmed by the heat in here and the amount of hustling that we encountered. We didn’t stay long here as we didn’t see anything that we particularly liked and we were still largely suffering the effects of jet lag. It’s worth going to and checking out but the items for sale are neither here nor there. I would strongly recommend doing this trip. It takes most of the day, but we managed to also squeeze in the War Remnants Museum at the end. 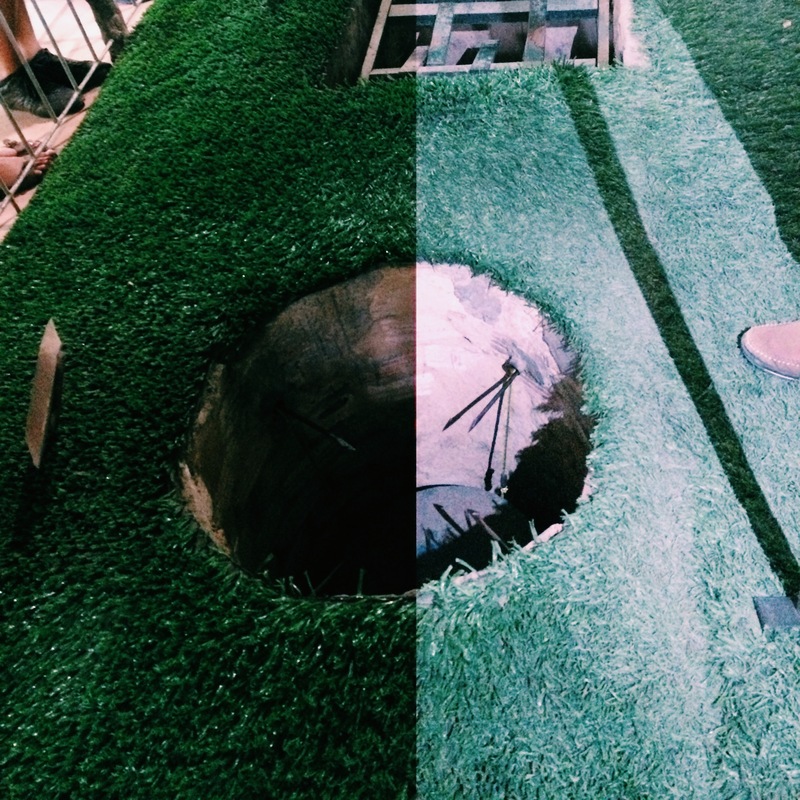 A lot of what you see at the tunnels has been reconstructed or modified to suit western tourists. The tunnels are a good example of this – they were originally a lot smaller and narrower but have been widened to accommodate the *ahem* wider girths of westerners. I was struck while wandering around the complex, just how frightening it must have been for American GIs to fight in Vietnam. Their frame of reference when it came to war would have been trenches, tanks and most importantly, an obvious enemy. 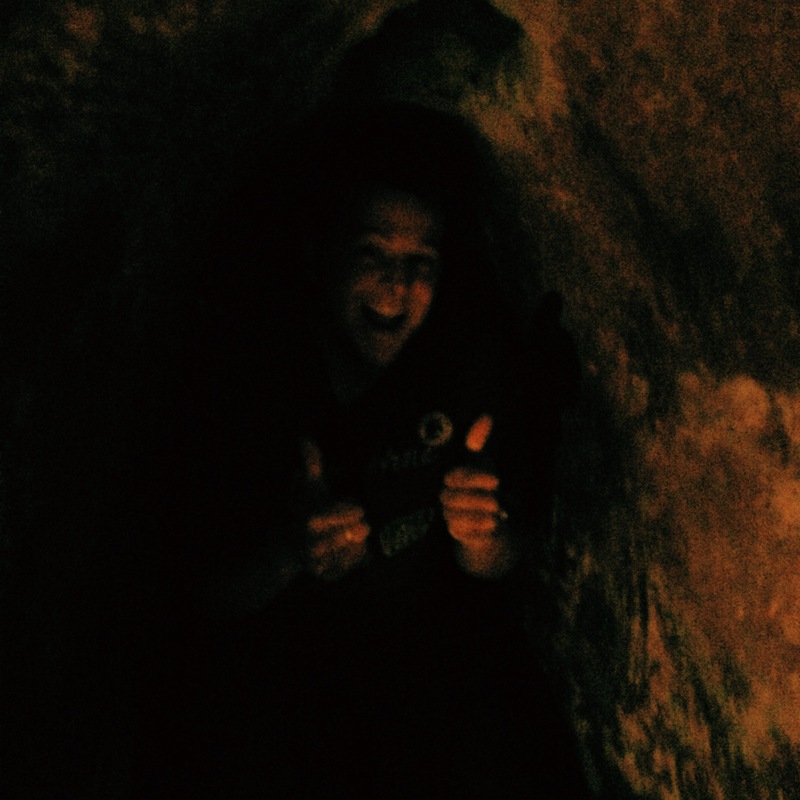 Seeing the small tunnels where Viet Cong would pop up and attack American soldiers gives you a sense of how there simply was no clear enemy lines, no ‘western front and how disconcerting this would have been. I don’t know how anyone could visit this museum and not adjust their perspective of war and conflict. 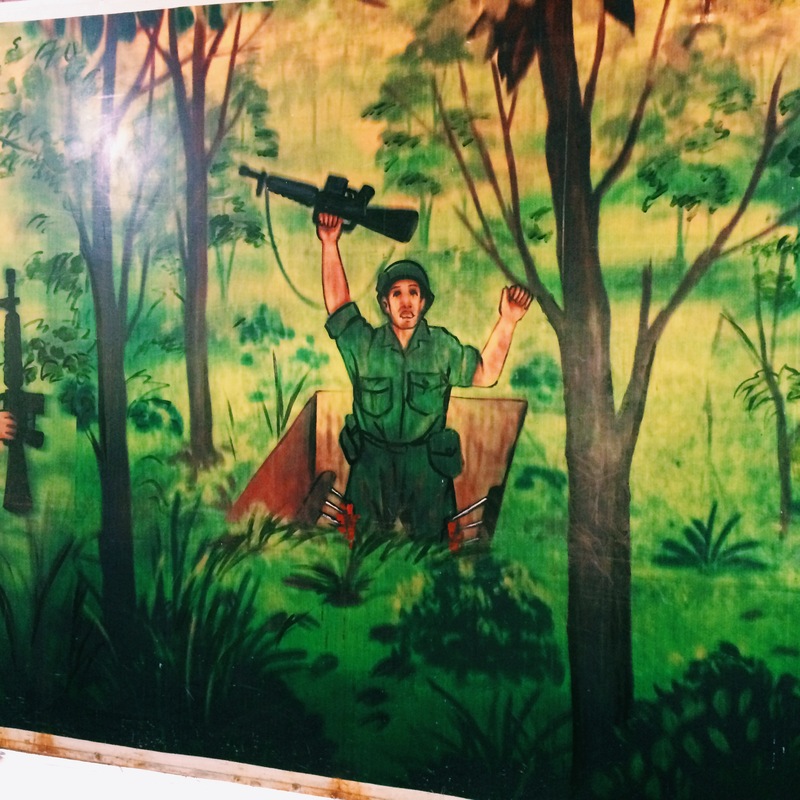 Yes, it’s a huge propaganda exercise but it does have some worthwhile pieces and interesting artefacts from the Vietnam War that illustrate the grisly and awfulness of war. There is a massive area devoted to detailing the effect of Agent Orange which shows images of people born with severe birth defects and illustrates the enormous human cost of war on the civilian population and in particularly, the devastating long term impact that this chemical warfare had years after the conflict finished. When Joe and I first saw this palace we immediately thought the design had been inspired by a New Zealand architecture firm, Warren and Mahoney who are known for designing several 70s Stalinist style buildings for New Zealand universities. The Palace itself is a worthwhile visit and has a rich history. It was the site which marked the end of the Vietnam War when a North Vietnamese Army tank crashed it gates during the Fall of Saigon. Most of the rooms have been preserved as they were in the 1970s so it gives you a snap shot into what the decorating style and fashion was around this time. Most fascinating was the bunker rooms underneath the palace with all the technical equipment and maps preserved from the 1970s as well. We did this in the afternoon on our last day in Saigon before we departed for Hue. The museum itself is a gorgeous yellow French colonial building and although it is right near one of Saigon’s busy roundabouts, it feels very quiet and laidback. It has a range of artwork – paintings, pottery, sculpture and some weapons. It houses what could quite possibly be the oldest thing I have ever seen – a 4th century statue of Buddha. 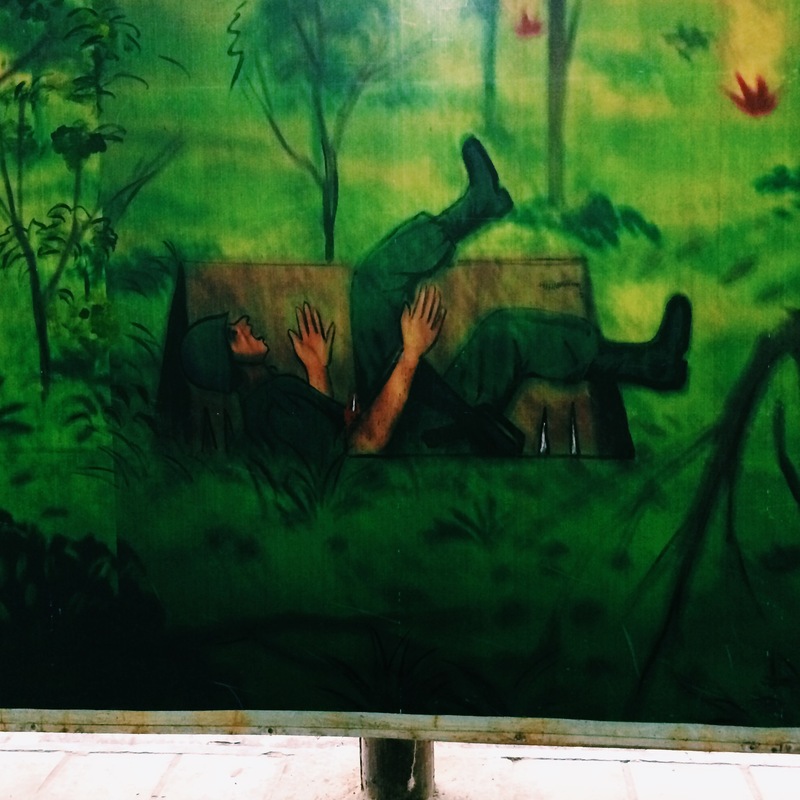 It also houses a vast selection of art depicting the Vietnam War and various propaganda pieces. Well worth a visit if you’re looking for something a bit more relaxing. Another market – but this one has air conditioning! 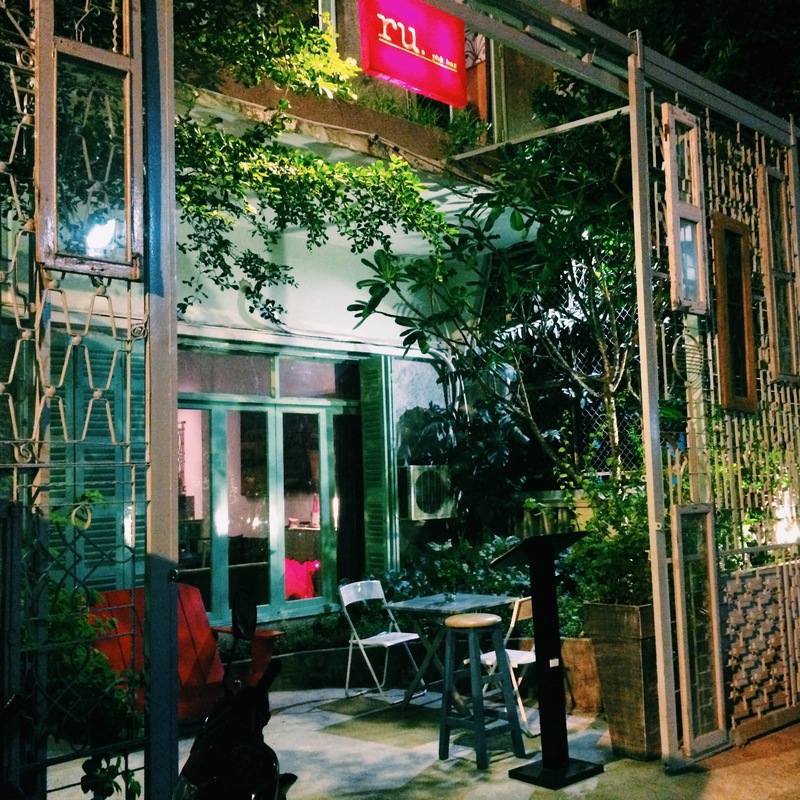 Worth going to this during the day and then heading to the night market near the Ben Thanh markets in the evening. Joe bought some fake Dr Dre headphones from here and I bought some pants that were the wrong size. It was initially quite overwhelming coming from a smaller (although quite sprawled) city of 1.3 million people to a city of 7.3 million people and it took some time to get used too. 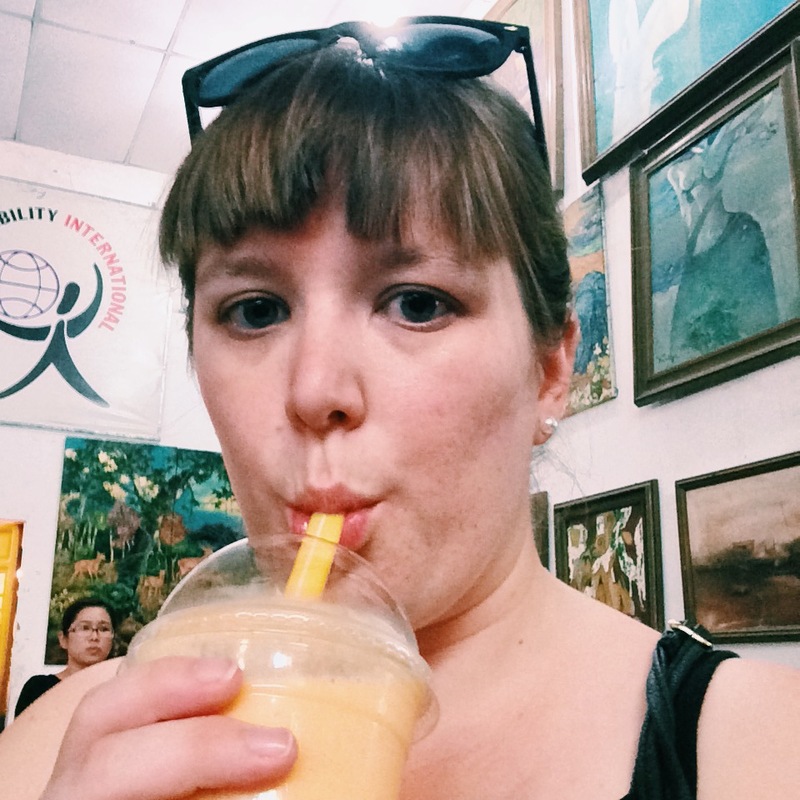 I personally found Saigon the most humid of anywhere we went, but it did have plenty of cafes and the like to pop into and lap up the beautiful and sweet air con. Learning to cross the road was fun but also quite terrifying. I think we got the knack of it in the end. The trick is to just start walking confidently across and road and let the cars and scooters make their way around you. Saigon was fun city to start our tour of Vietnam in. I would recommend spending 2 – 3 full days here. 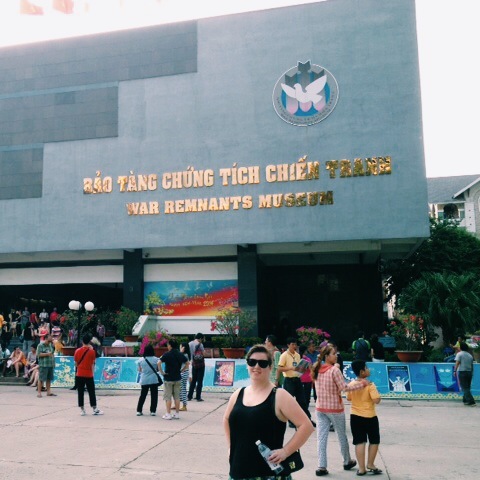 I thought I’d write a post about my recent travels through Vietnam. My partner Joe and I were only there for nine days, but we managed to pack a lot of history, culture and food into this short time. 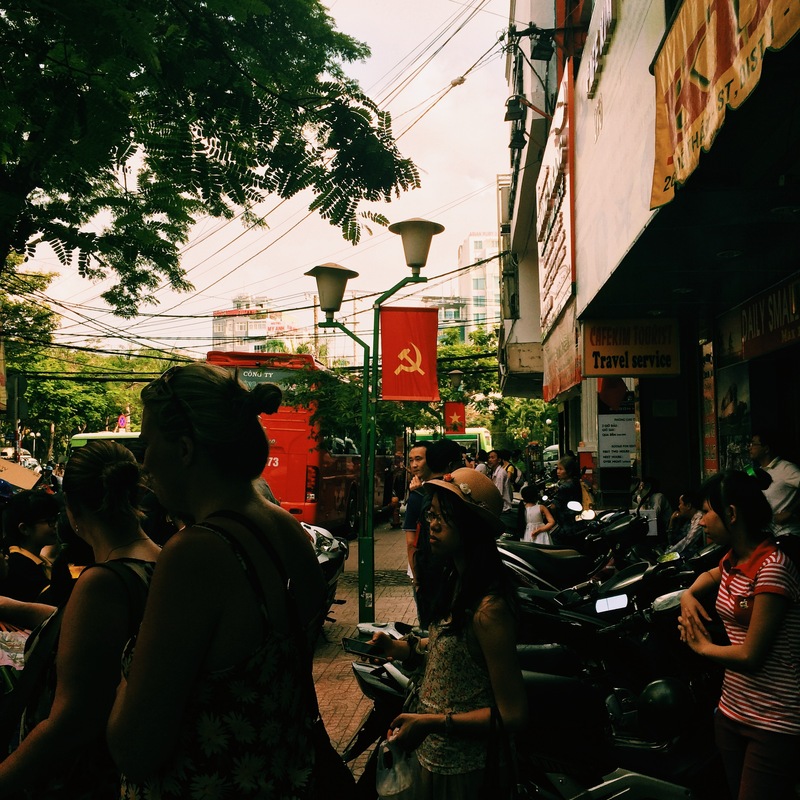 I’d like to share some of my thoughts on why Vietnam is an interesting place to travel to and what I’d recommend if you’re thinking of heading there. I’m going to divide this into several themes and begin with why I wanted to go to Vietnam in the first place. Vietnam’s history was the main reason for wanting to travel to the country. 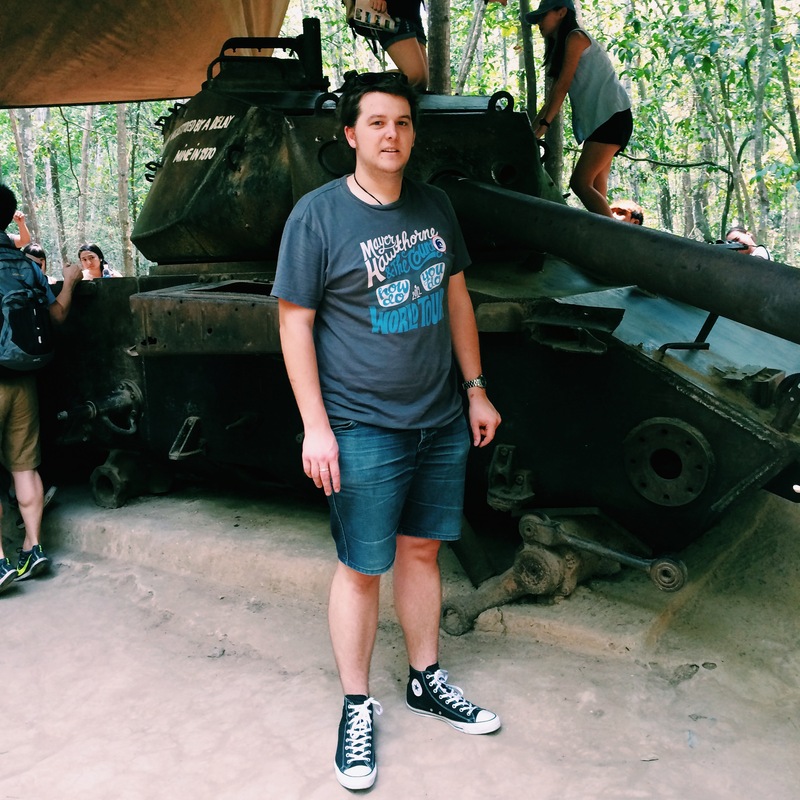 I studied Vietnamese history during high school and I found it very compelling. As a country, Vietnam has suffered from its fair share of colonisation. It became independent from China in the 900s and flourished over the next couple of centuries. But its modern history is one of fighting foreign occupation: the French in the 19th century, the Japanese in the 1940s and then Americans in the 1960s and 1970s. As a result of this, the Vietnamese developed a strong sense of national identity and fighting spirit. Some people have argued that it was resentment of foreign occupation and willingness to defend this (and even die for it) that played a crucial role in why the USA was never able to claim a victory in the Vietnam War. The USA became stuck in a quagmire, fighting against an enemy that was completely willing to fight for as long as possible to achieve its aim. Understanding this history gave me a real sense of what motivated many Vietnamese to put their lives on the line to support the goal of removing foreign occupation. 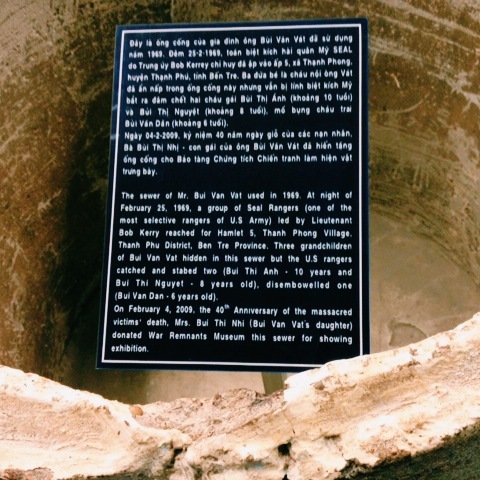 But it also made me interested in going to the place where all this history happened – being able to visit specific sites where key historical events occurred and get a sense of key moments that played a part in Vietnam’s formation as a nation. 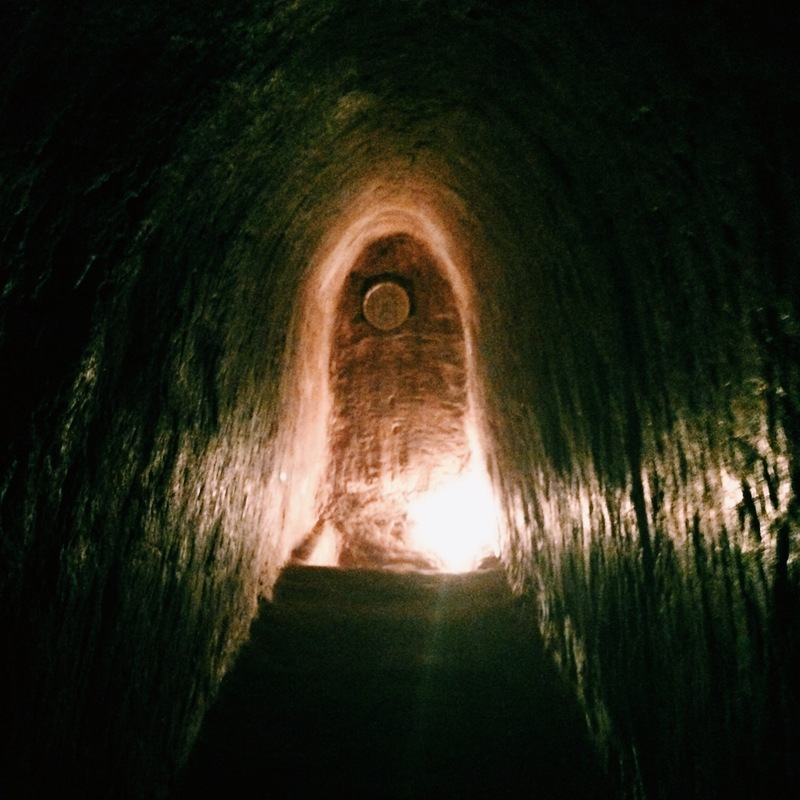 This was especially the case when I visited the Củ Chi tunnels which I will elaborate more on in a later post. The Vietnam War was also a major theatre of where the Cold War played out between the USA and the USSR. One of the reasons why the USA became involved in Vietnam was a belief that if Vietnam fell into communist hands, it would create a domino effect in which other countries in South East Asia would fall to communism. As a former political studies student, it was particularly fascinating to be in a country that dominated so much of the USA’s foreign policy in the 60s and 70s and still continues to have an impact on US foreign policy today. 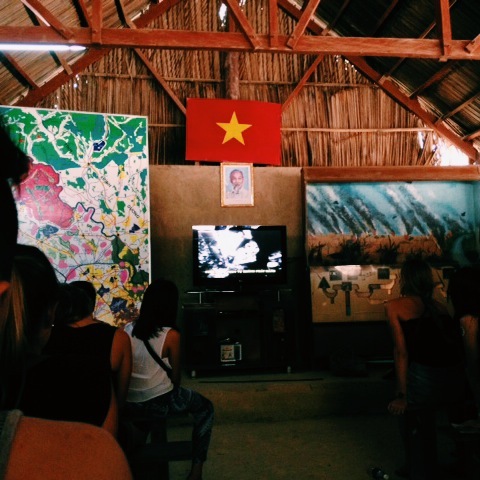 The Vietnam War also has a place in my own country’s history and its development as a nation. The Vietnam War was the first place that New Zealand did not fight alongside the United Kingdom (which was traditionally what we had done). Our involvement was highly controversial and sparked many protests, similar to the protest in the USA. These protests were significant as they marked the first time where the foreign policy between our two major political parties (Labour and National) began to significantly change with Labour wanting a more independent foreign policy. This all came to a head later on when New Zealand became nuclear free and refused to allow US ships to visit, sparking a cooling of diplomatic relations between the two countries. 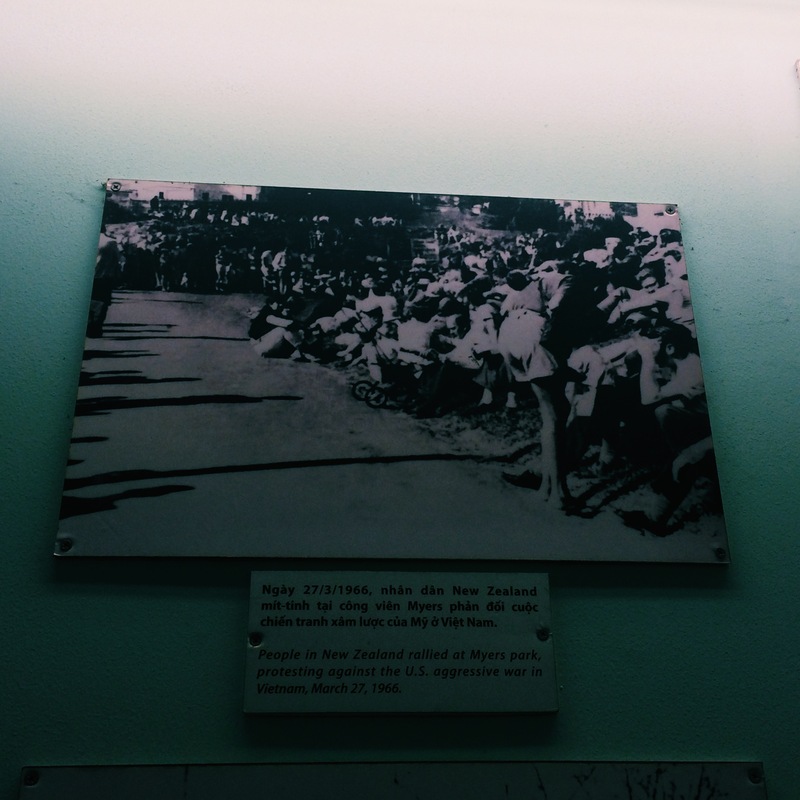 This episode, interestingly enough, is now considered a major part of New Zealand’s national identity and various cultural myths have developed from this – particularly the David versus Goliath idea of New Zealand standing up to a superpower and refusing to back down when it came to nuclear power. So, in a (very big nutshell) this is why Vietnam appealed to me as country to visit.